Prince Harry has received an early Christmas present from his wife, Meghan: I hear the Duchess of Sussex has made clear that she's happy for him to continue shooting with the rest of the Royal Family. 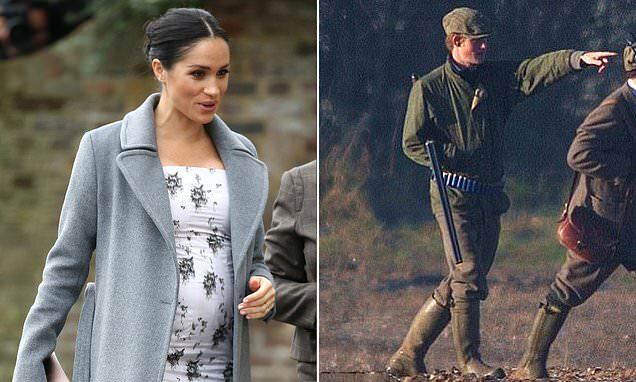 There had been speculation that the American former actress had told Harry he could not take part in the royals' traditional Boxing Day pheasant shoot at Sandringham. The news will delight Harry's old chums, who had been worried by reports that he had abandoned his shotguns. David Roper–Curzon, Lord Teynham's son and heir, who has been shooting with the Prince, tells me: 'He's a very good shot.